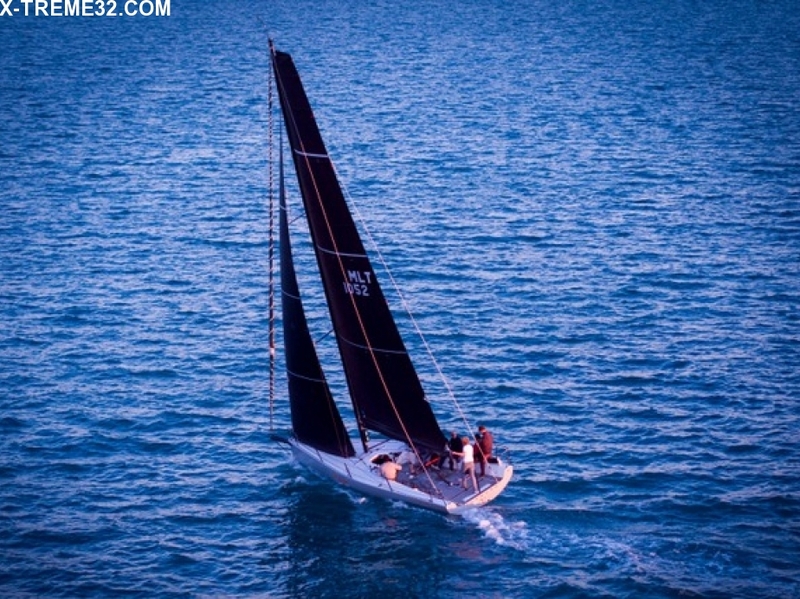 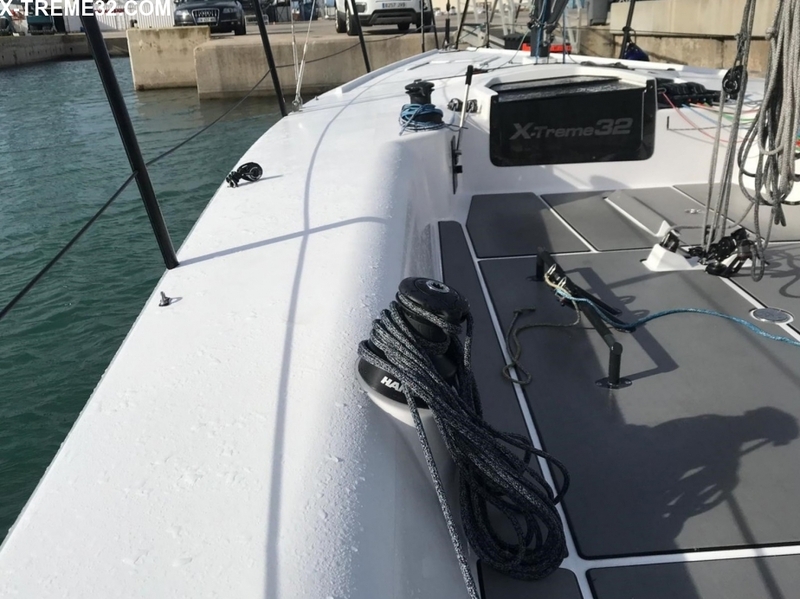 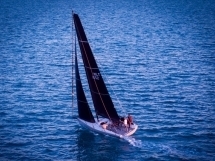 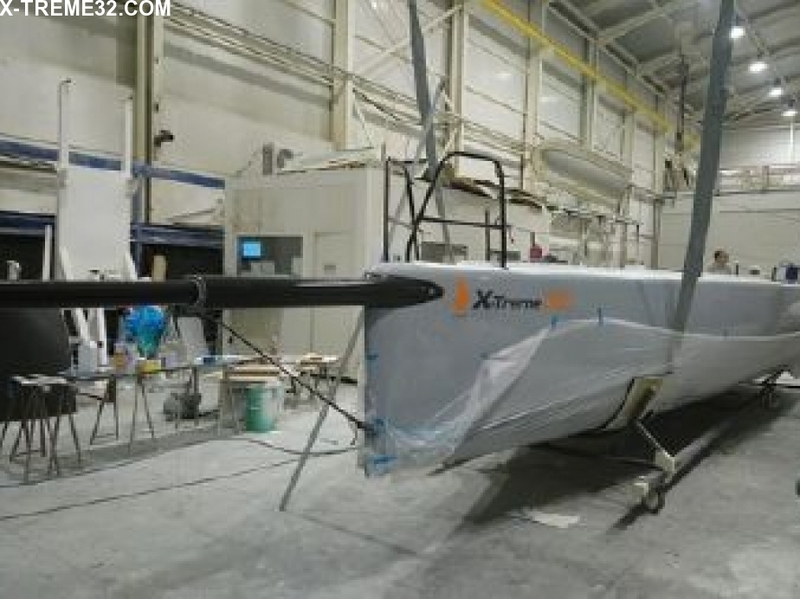 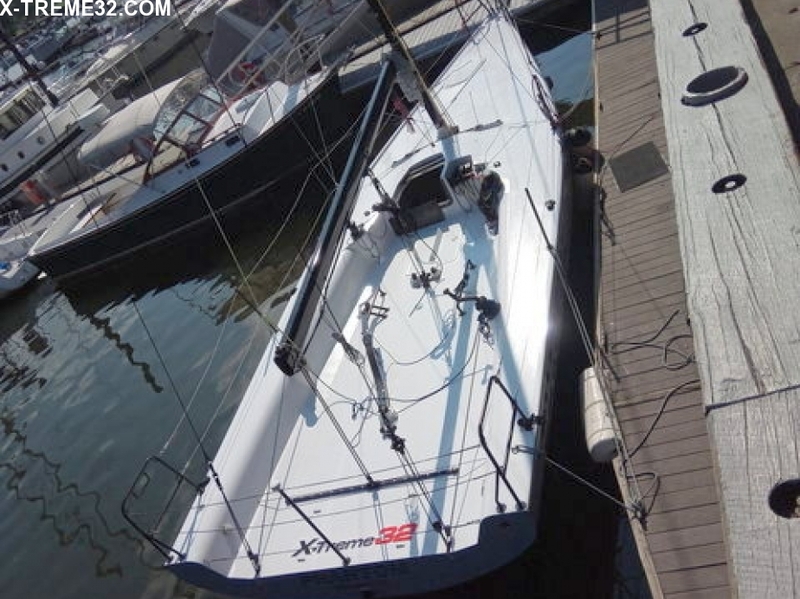 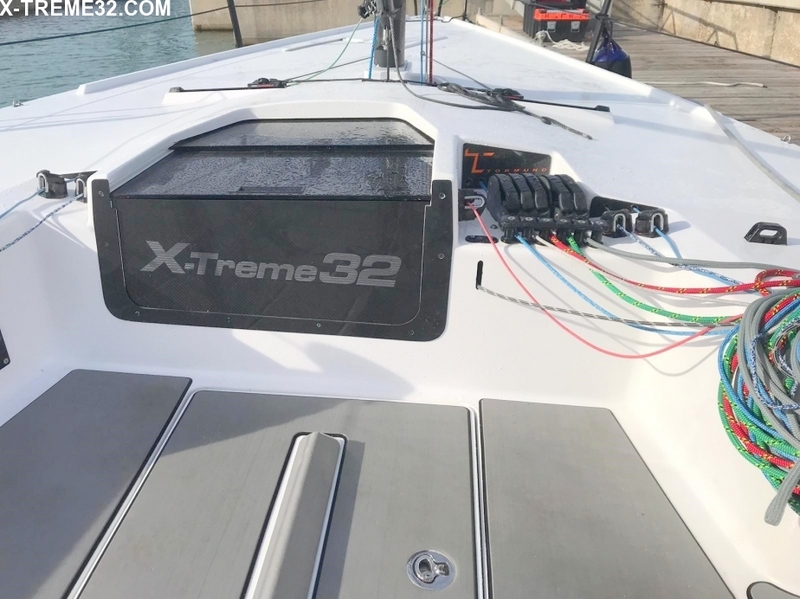 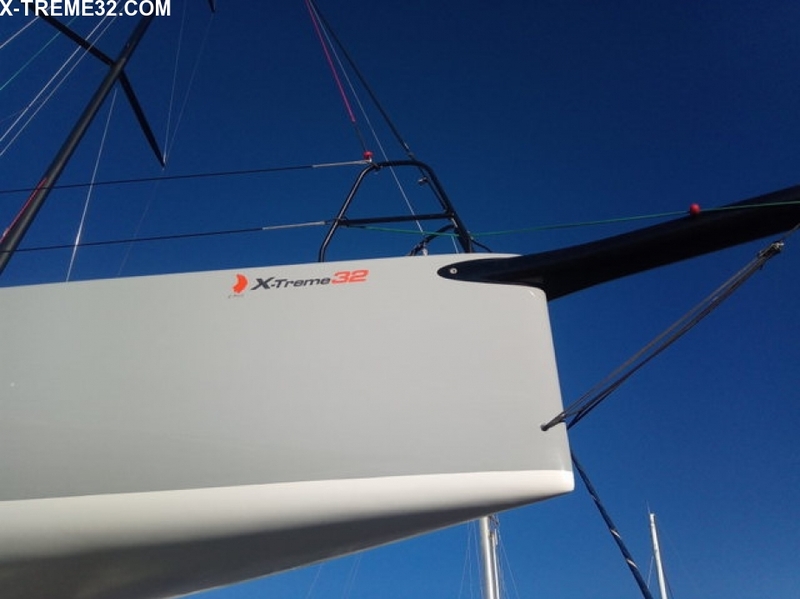 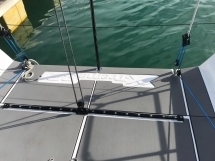 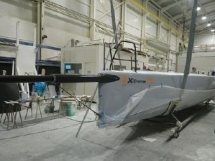 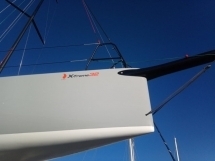 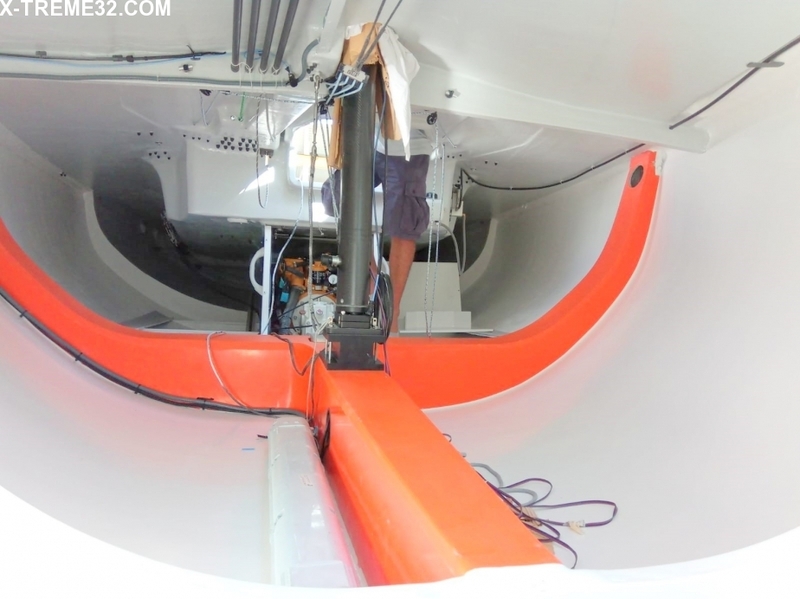 The X-Treme 32 hull form is honed to deliver performance across a wide wind range. 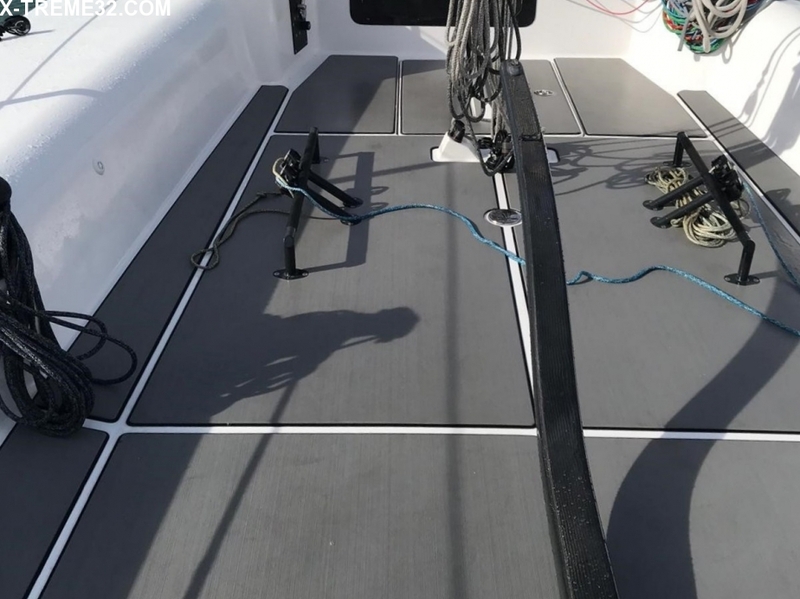 The hull lines minimize wet surface in low-heel situations but maximize hull form stability when heeled. 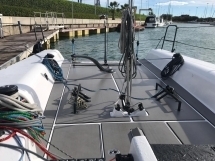 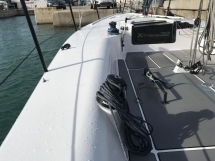 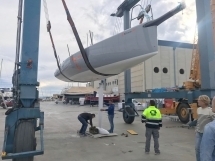 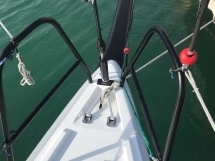 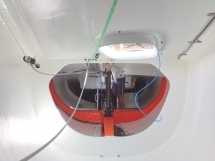 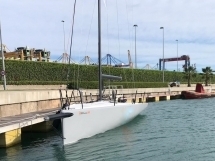 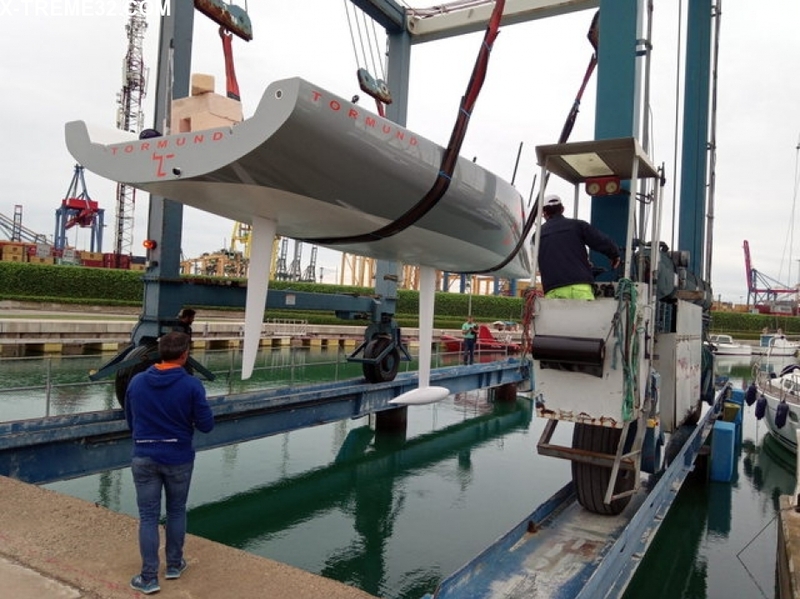 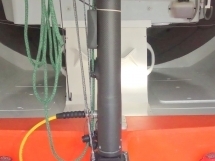 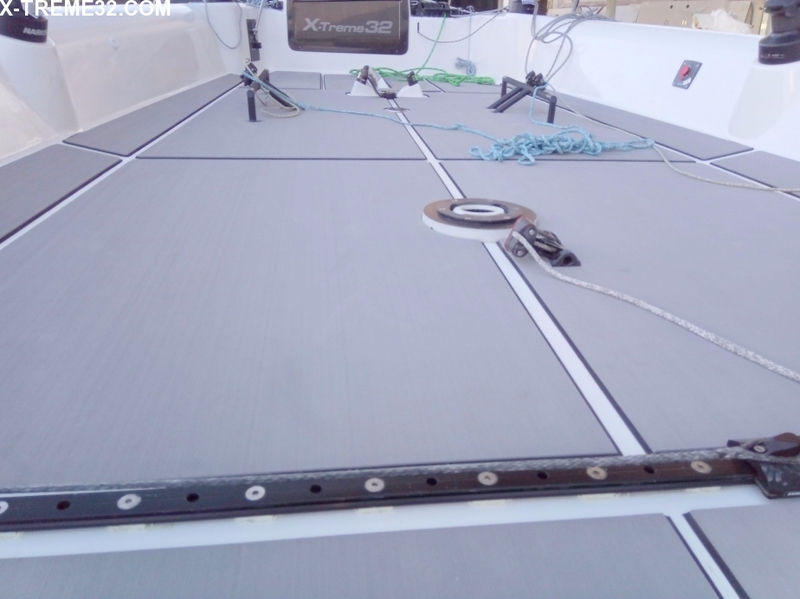 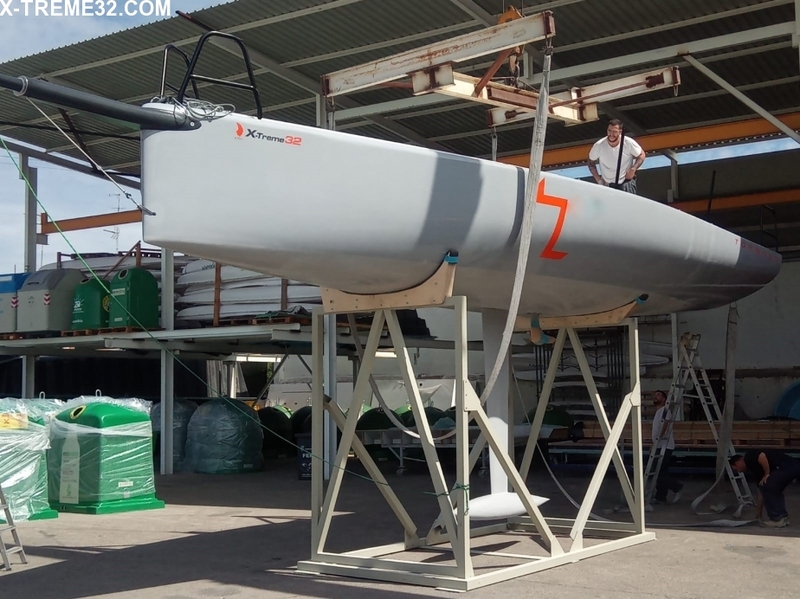 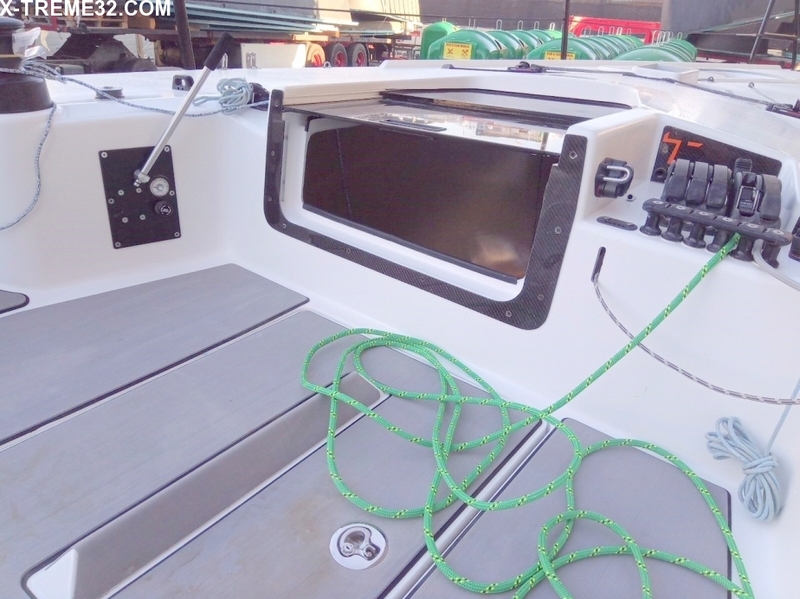 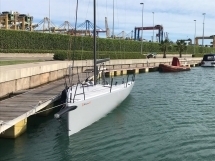 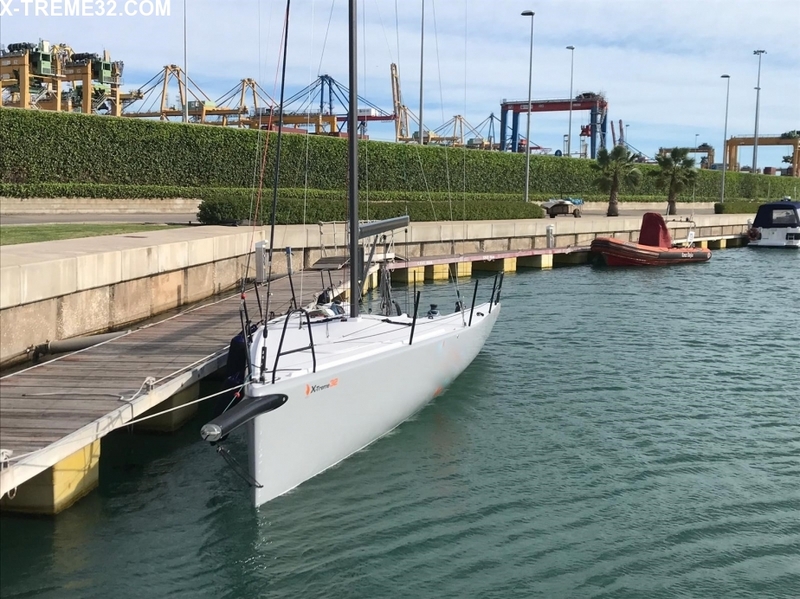 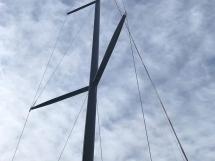 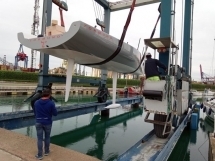 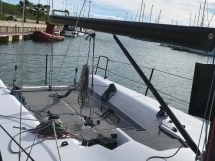 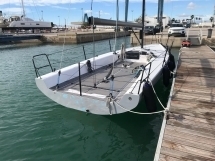 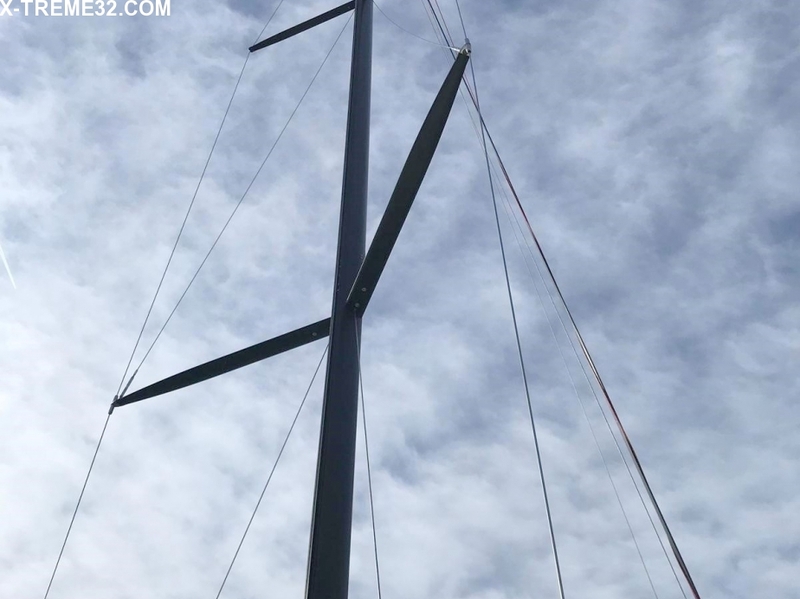 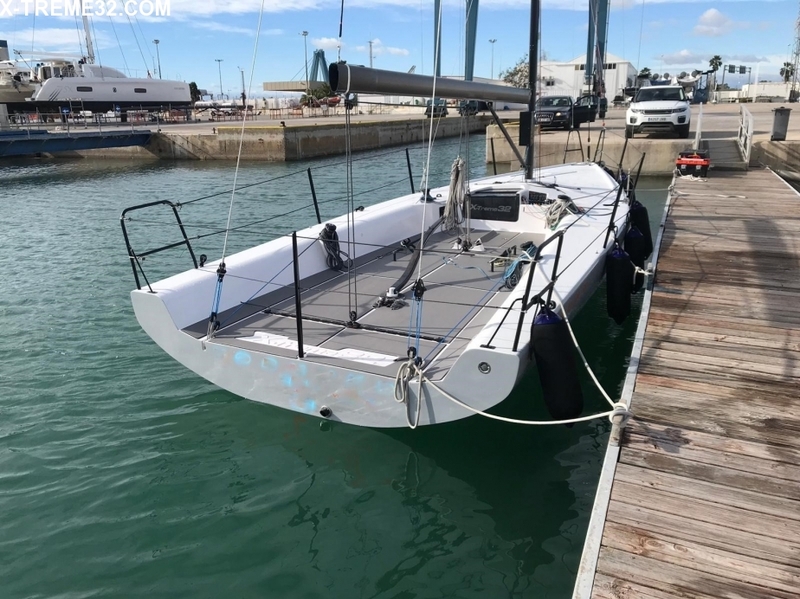 The maximum beam is carried well aft at the deck to insure crew weight is as far outboard as possible, providing maximum stability and straight heeled waterlines. 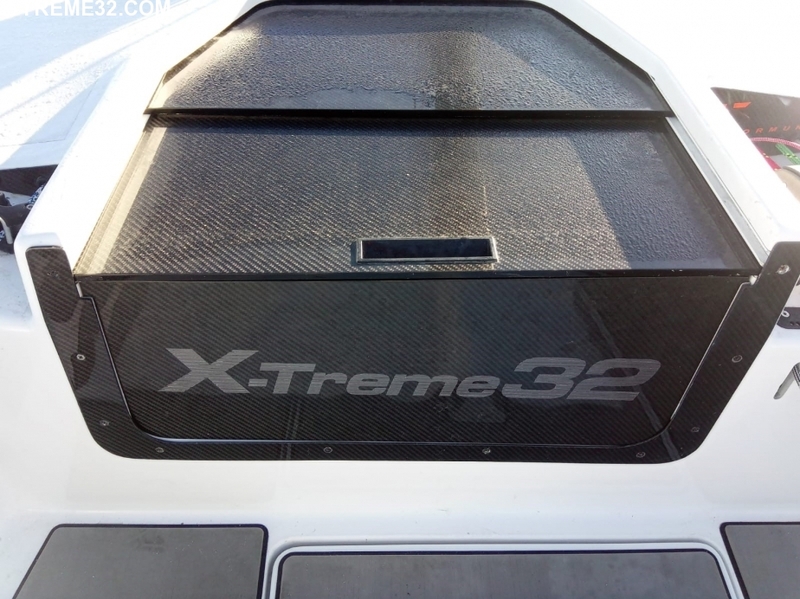 The X-treme 32 / RP32 is a flat-out racer that delivers the thrill of a high-performance design as well as the ability to capture podium positions. Diab’s lightweight core material Divincycell HM is a key ingredient. 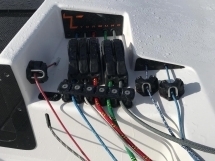 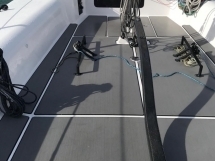 The deck geometry and hardware layout is optimized for efficient crew work while keeping windage to a minimum. 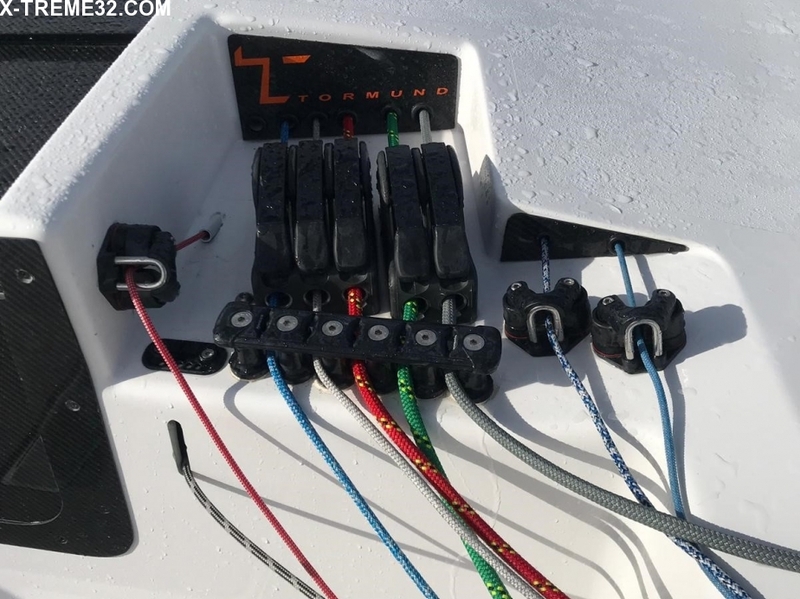 Backstay winches are angled inboard to allow the crew to trim the backstay with feet outboard hiking. 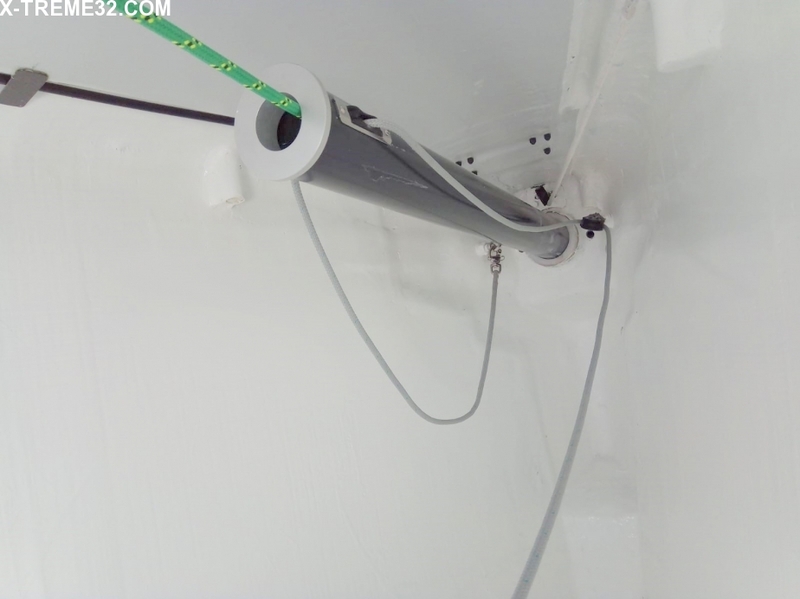 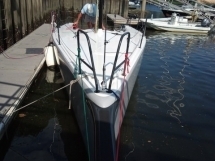 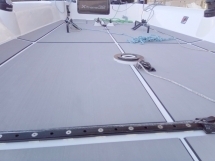 The slightly raised companionway houses an oversized hatch to allow for easy movement of sails to and from below decks, and conceals underdeck runs for halyards and controls lines from the mast and foredeck. 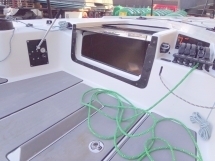 Controls for the main trimmer are led to the cockpit floor centerline, just forward of tiller.